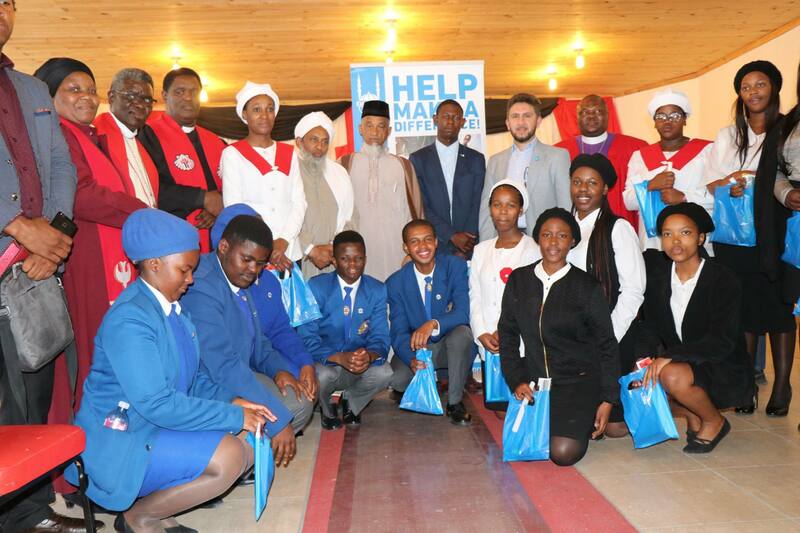 As Grade 12 learners start their senior certificate exam on Monday, the Muslim Judicial Council (SA) responded to the call from the Western Cape Christian Ministries Association (WCCMA) to support matriculants with stationery. 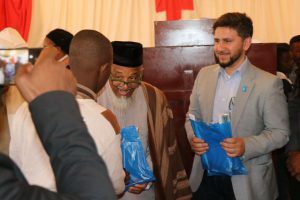 In partnership with Islamic Relief South Africa (IRSA) the MJC and WCCMA handed stationary packs to 100 matriculants and donated a cash amount of money to the learners. 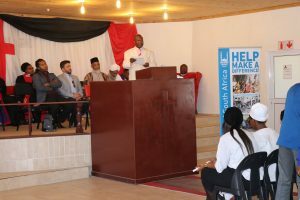 MJC President Shaykh Irafaan Abrahams encouraged students to always aim high. 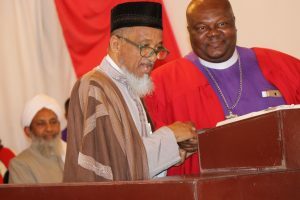 From Left, Islamic relief COO Yusuf Mohammed, MJC president Shaykh Irafaan Abrahams and Bishop Mtsolo. 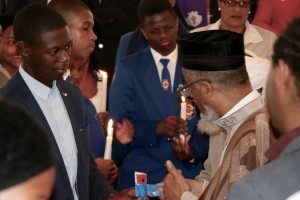 In his message to the church and specifically to the matriculants, MJC President Shaykh Irafaan Abrahams called upon the students to study the life of the Former President Nelson Mandela and to develop the determination, positivity and tenacity to want a better country for everyone who lives in it. 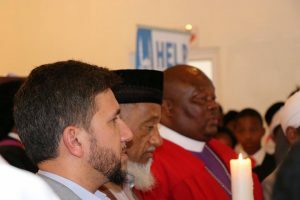 Shaykh Irafaan Abrahams sharing the interfaith service with Biship Mtsolo. The special interfaith service took place at Litha Methodist Church, Litha Park, Khayalitsha. Shaykh Abrahams spoke about the partnership between the Church and the MJC and the collective role we must play in our communities. “The relationship between the MJC and the WCCMA has been ongoing for several years. It is important that all faith-based organistions work together to assist our communities in these challenging times. Handover of the stationary packs. 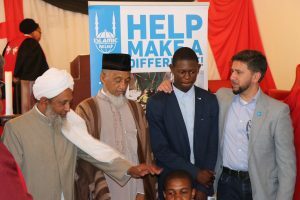 From Left: MJC Deputy President Moulana Abdul Khaliq Allie, MJC president Shaykh Irafaan Abahrams, Matric learner and COO of Islamic Relief (SA) Yusuf Mohammed wishes Matrics well for the exam. Learners welcomed the delegation with a standing ovation at the Church and were ecstatic at receiving the stationery packs. “Our special service acknowledges that learners have many challenges and they are entering a very anxious period with the Senior Certificate Exams. Many of them do not have the proper equipment to write the exams which add to their worries. This was an opportunity to encourage them to aim high and be successful,” said chairperson of the WCCMA, Presiding Bishop Dr D.D Mtsolo. We wish all matrics well for the for Senior Certificate Exams for 2017.